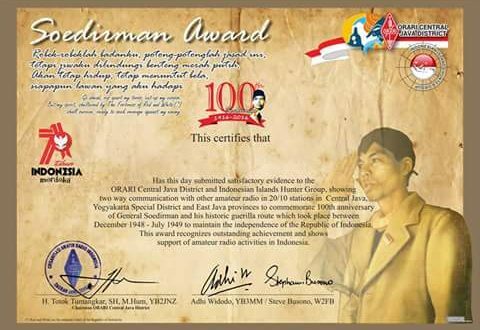 Orari of Central Java in collaboration with IIHG will issue Soedirman Award to commemorate100th anniversary of the birth of General Soedirman, one of the most decorated and beloved heroes of the struggle to maintain Indonesian independence. 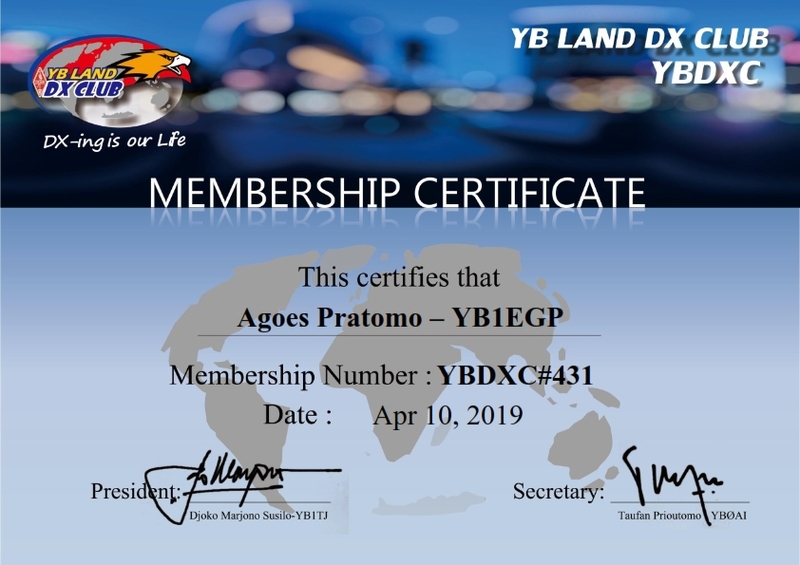 DX stations need to work 10 stations altogether from Central Java, Yogyakarta, and East Java. A minimum of one station from each of the above region is required but it can be any combination for a total of 10 stations. For YB stations the minimum number is 20 stations. A great nation is one who honors her heroes. 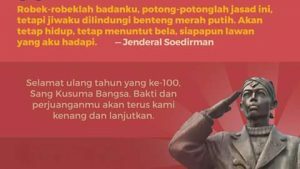 The great nation of Indonesia will celebrate 100th anniversary of General Soedirman, one of the most decorated national heroes. He was very instrumental in the war to defend the then-young nation’s independence. General Soedirman will be remembered for his valor during the revolutionary period for our beloved nation by the amateur radio community as well. To commemorate General Soedirman 100th anniversary coupled with 71st year of Independence of the Republic of Indonesia, we will issue Soedirman Award. 1. 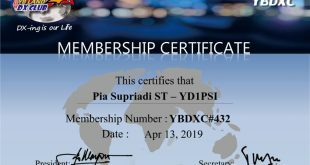 Soedirman Award is issued to Radio Amateurs and SWL worldwide that can successfully make 2-way contacts / heard in HF bands (160m – 10m) including WARC bands. Only contacts between 1 – 31 August 2016 count for this award. Repeater, satellite, eQSO, Echolink or other relay methods are NOT permitted. with minimum 1 contact with amateur from each provinces/ SD above. General Soedirman guerrilla war in those 3 provinces/ SD in 1949.
b. Radio Amateurs in other country (DX) is similar with point 2a, but only 10 contacts are required. c. Domestic and foreign operators operating portable such as YB3MM/2 or YB3/W2FB are also valid. 3. Proof of contact such as QSL card, LoTW etc are not necessary. Award application based solely on contact with honor system and sportsmanship conduct. 4. Award applicant should submit the list of QSOs, consisting of callsigns, date, time in UTC, band, mode and reports both ways. 2. Fee. Soedirman Award is free, and it is issued as PDF or JPG file, and will be sent by email. If requesting paper award, please enclose stamp Rp. 15,000 (Indonesia) or 3 IRC (DX). Please do NOT enclose any banknotes. 3. Special Pin. Soedirman Award Commemorative pin is also offered for a nominal fee to all successful applicants. Please contact Award Manager via email for details. 1. If there is an uncertainty of a contact or if the validity of a contact is in question, the final decision will be taken after a consultation between the Award Manager and Administrator of ORARI Central Java District. 2. Applicants hereby authorize the publication of his/her callsign and name related to this Award on internet or other social media.